Originally an intimate escape for merchant princes to revitalize creative notions, Solstrand Hotel & Bad was built in 1896 by Christian Michelsen, who later became the first prime minister of Norway after gaining independence from Sweden in 1905. 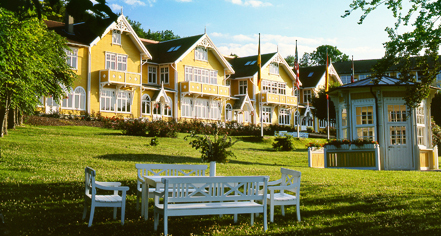 Today, Solstrand Hotel is run by the fourth-generation Schau-Larsen family and remains a holiday resort offering its original wooden architecture and affording the rich natural and cultural landscape that surrounds it. Offering 135 luxurious guestrooms, spa and wellness facilities, world-class dining serving a traditional menu with creative touches, renowned conference and meeting facilities, and an unbeatable view of glaciers, the fjord, and mountains, Solstrand Hotel & Bad is a choice hotel for guests seeking refuge without sacrificing modern comforts. 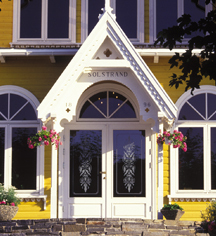 Solstrand Hotel & Bad, a charter member of Historic Hotels Worldwide since 2012, dates back to 1896. The main lodge was built by Norway’s first prime minister, Christian Michelsen, as a retreat for merchants and princes. Cancellation Policy: Varies by room type. Please contact hotel. Cribs and Pack-in-Plays: Available upon request; NOKK 200 per night. Early Check-In/Late Check-Out: Subject to availability. Rates may apply. Originally an intimate escape for merchant princes to revitalize creative notions, Solstrand Hotel & Bad was built in 1896 by Christian Michelsen, who later became the first prime minister of Norway after gaining independence from Sweden in 1905. Learn more about the History of Solstrand Hotel & Bad .